Posted March 22, 2017, in News. …is the name of the course we teach our undergrad and grad students. 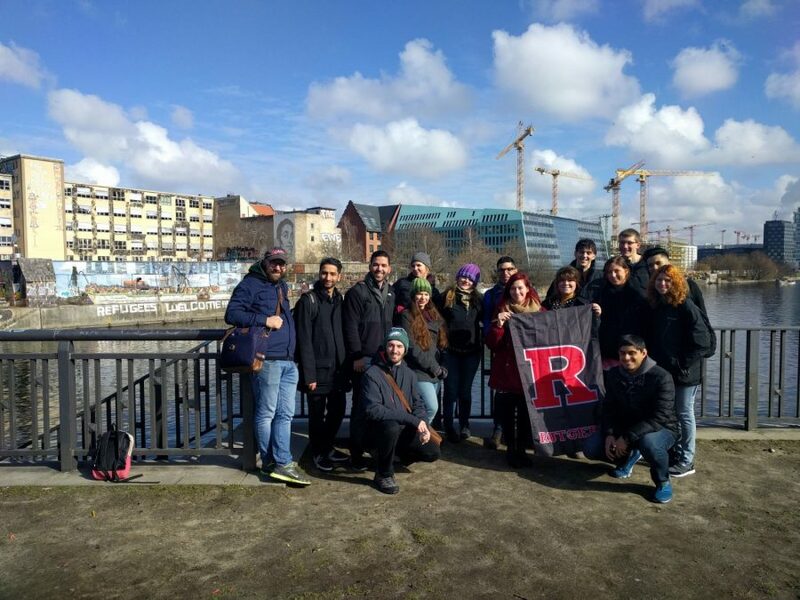 What makes this course special is that it is a Learning Abroad course where students in addition to meeting in the classroom take a trip to Germany during Spring break. In Germany, we check out Berlin, Hamburg, and Köln with a keen eye on neighborhoods that have experienced physical and/or social change over the past several years. We also look at Street Art and Graffiti, particularly as expressions of social movements. The streets of these cities become our classroom, our live lab. We meet with activists, university professors, professionals, and other natives to collect multiple perspectives on the topics of our study. Page last updated by CURE at 8:41 pm March 22, 2017 . This page was printed from http://cure.camden.rutgers.edu/2017/03/22/gentrification-social-movements-and-the-arts-in-germany/ at 8:56 AM Saturday, April 20, 2019.